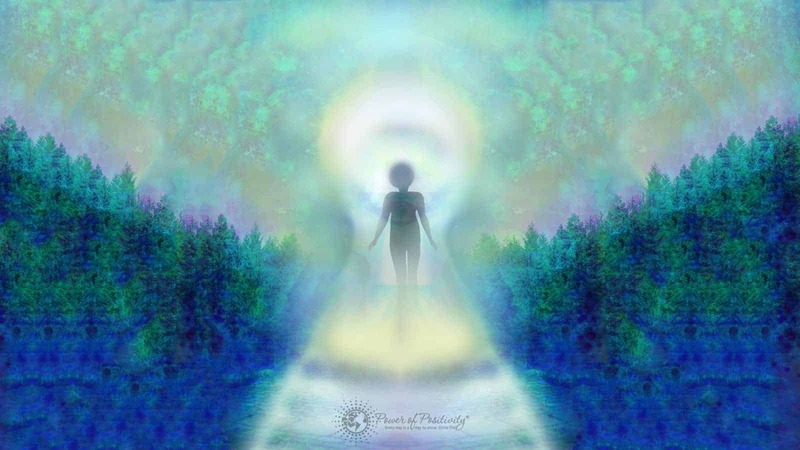 The concept of an old soul or a soul that has been here before comes from the idea of reincarnation, or re-living a life cycle on Earth either as yourself or as another living being. The prior knowledge form your past lives may be stored somewhere in your memory, or maybe it is all forgotten. Rebirth and reincarnation can happen even without death. For each major transitional phase of our lives, we transform into new selves. You may have suffered a particularly traumatic event, but survived to tell your story to others. In the process, you became a different person from who you were before. Being reincarnated as a soul does not come with an instruction booklet, so with these signs we’ve included how to handle things differently once you know that you are an older soul. With reincarnation, ‘the ultimate aim is to get off the wheel of suffering altogether: to be an embodied self,’ say the British researchers. When you handle pain and unhappiness better than those you know, it is a sign that your soul has been here before. A hypnotherapist can help you with uncovering repressed memories, but few therapists will identify that the experiences you remember are evidence of a past life. More often a therapist is helpful in ‘assisting the client to become happier with their present self than making philosophical claims about past selves’ say British reincarnation researchers. Tina Turner recalled being an Egyptian queen and artist k.d. lang has said that she is the reincarnation of singer Patsy Cline. Past life memories are often related to a powerful emotion, such as fear. If you have a strong fear response, question why you feel that way and if that feeling may have been a sign that your soul has been here before. If it’s true that time heals all wounds, you have done plenty of healing when your soul has been here before. British researchers say ‘North Americans who embrace the Hindu concept of reincarnation usually fail to grasp the Hindu horror of time and have difficulty distinguishing the Atman, the divine essence of consciousness, from their everyday, time-bound sense of self.’ You are very patient because you have plenty of time to get things right, in this lifetime or the next one. Unexplained feelings, phobias, or not feeling like yourself in your own body are uncomfortable feelings that might be a sign that your soul has been here before. Researchers in the journal Medical Hypotheses looked at children with gender identity disorder, unusual play behavior, and other unusual childhood activities and they concluded that looking at the possibility of previous lives might help explain some unusual behavior patterns for these children. You may have noticed your unusual attraction to cultures, places, or people that you had never experienced before, and these interests may have begun early in life. As an adult, your choices and preferences may mean that you are influenced by the fact that your soul has been here before. As a soul who has been here before, you know that using the law of attraction gets things done for you and you use this knowledge to your advantage, often surprising people with how easy it is for you. You can hear your every thought before your mind says it. Your senses are wide open and receiving all of the incoming information around you. You can feel the breath within your body, your pulse, and the impact of your foot against the ground. You know your emotions and take control by responding, rather than reacting to things. You are in tune with your gut reaction because you’ve had more practice with it as an old soul. You pick up on the smallest details, body language and facial expressions and as a result, you know what’s going on inside people’s minds. You can make better decisions than others because your soul has been here before. Your soul knows what it is like to suffer, to grieve, and to worry, and so you feel an easy connection to others who are suffering. You are available to friends and family members who are going through difficult times. You stretch yourself to be available to support community members who are struggling emotionally as well. People may say you are environmentally minded but you can’t help it because your soul has been here before. You care for the planet more than others because you know that you might come back to it again in your next lifetime.